Welcome to Red Couch Recipes where Zoulah is poised to make her third debut at her Bewitchen Kitchen at Red Couch Recipes! Before she does, I wanted to share with you her 10 most popular posts from the past two years. 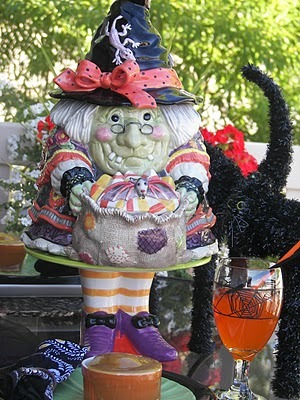 For those of you new to Zoulah's escapades, you need not fear, she is a family friendly witch! If you haven't met Zoulah before, I would like to introduce you to Zoulah. This is Zoulah, Boulah, born on Halloween many moons ago. 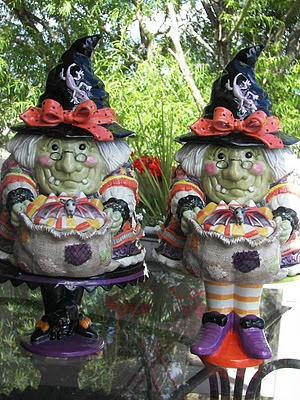 She has a twin sister named Beaulah who resides at the home of my sister, hostess of the blog Purple Chocolat Home. 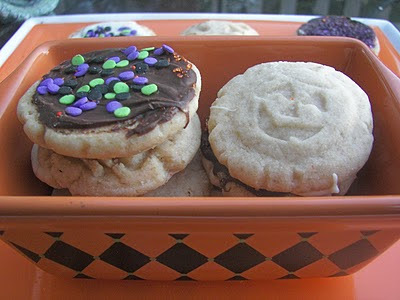 Sometimes they get on their "zoom brooms" and get together and make some Halloween kitchen fun. Of course, Zoulah and Beaulah's favorite holiday is Halloween! This is Beaulah's home for Halloween 2010. 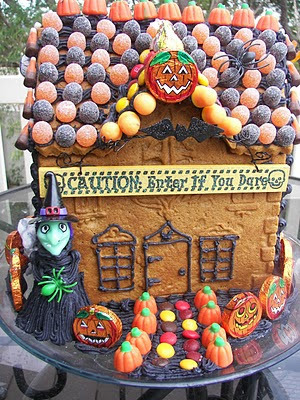 This is Zoulah's Halloween Home for 2011 because those "durn" Red Couch Children ate her 2010 home....it makes the saying "eating you out of house and home" come true! Sadly, a new home must be built for Zoulah when she comes out of her annual post-Halloween retirement this year. Yes, you guessed it, she is homeless again....Drat, those Red Couch kids ate her house again. 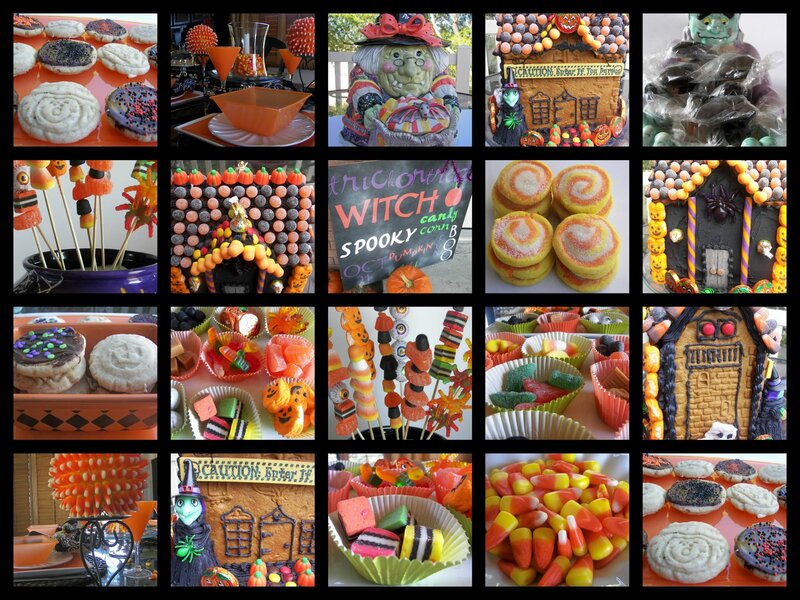 So without further ado, I would like to share with you her Top Ten Halloween Posts! By clicking on the title, you can be linked back to the original post. 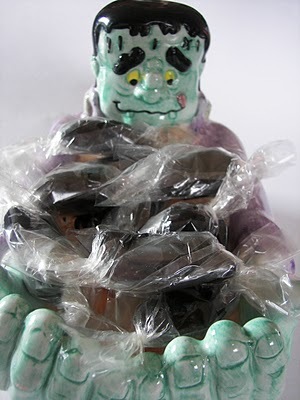 You can also see Zoulah's other 30 or so Halloween posts by clicking on the label Halloween on the sidebar of my blog. 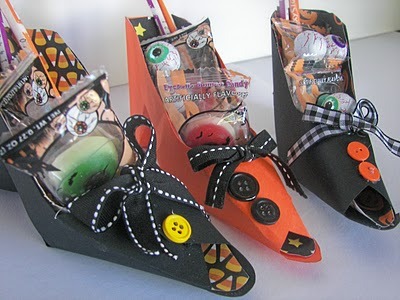 Although Zoulah tried to wear these shoes, these are made to hold sticky and sweet Halloween treats. So easy to make and so fun to receive. Zoulah adapted this idea from Dillon, of Dillon's candy bar fame. 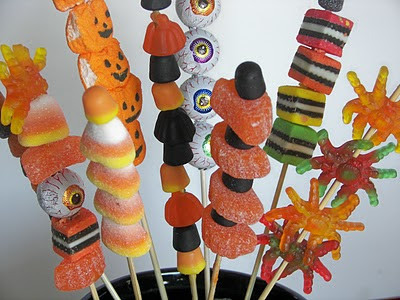 Dillon put candy on small skewers for drinks. Zoulah is not a drinking kind of witch, so she adapted. 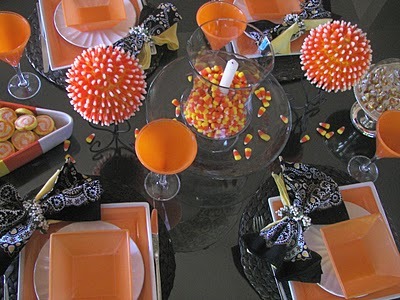 We all love the look of these Halloween Spheres. 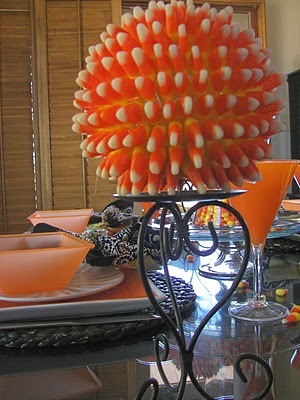 So easy to make and a good use for candy corn. This was such a fun table to put together for Zoulah. The Red Couchers have been making these caramels for years! 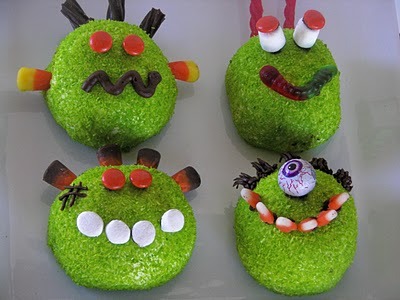 One of Zoulah's favorite kitchen activities to do with your "little monsters." 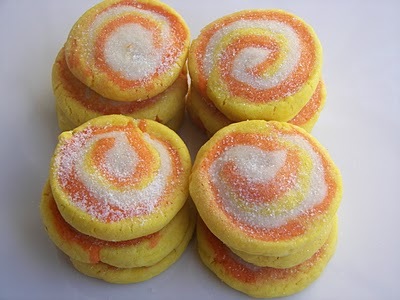 A favorite shortbread recipe that Zoulah's owners use all year round. The Red Couch family just made this last night. The Red Couch Mom can't keep herself out of the dressing. Zoulah likes to paint her teeth with it! 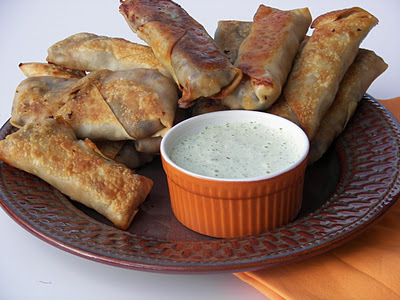 All right, so these really aren't mummies...they are Baked Southwestern Egg Rolls with a Creamy Cilantro Dressing! Sometimes Zoulah tries to be a scary witch...with little success! 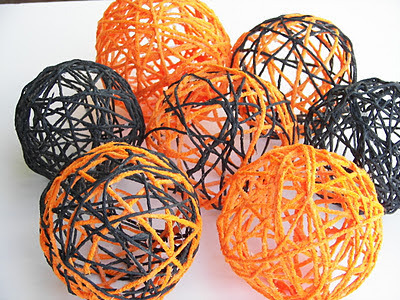 Yarn Spheres are so fun to make with kids and is the only craft to make it on Zoulah's Top Ten....well, she only has a " Bewitchen Kitchen," Zoulah throws a few spheres around the Red Couch home and around a Halloween table for a bit of fun. Thanks for dropping by Zoulah's Top Ten Posts! She has lots more more tricks up her sleeves this Halloween season! Zoulah can't wait to be cookin." You've worked hard on all those specialties....Thank you for the reminders. 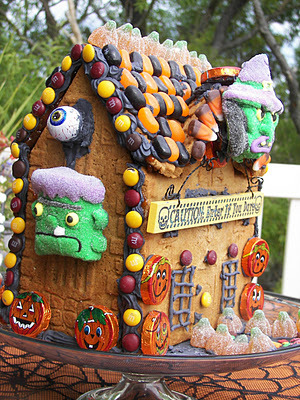 All of it looks "spook-tacular"! 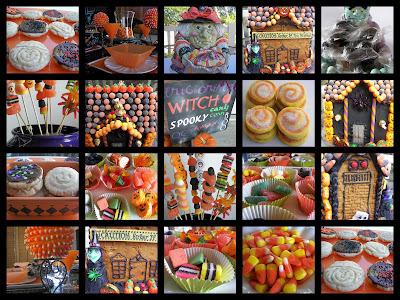 Oh what fantastic treats she cooks up at Halloween! Love the candy in the shoes! Can't wait to see what she is cooking this ear. I also love that house, reminds me of Hansel and Gretal. I've grown to like Zoulah ;o) But it's just because of you! "Eating you out of house and home" cracked me up! Looking forward to 2012 Zoulah posts.